This can't be the blood libel it's intended to be, can it? 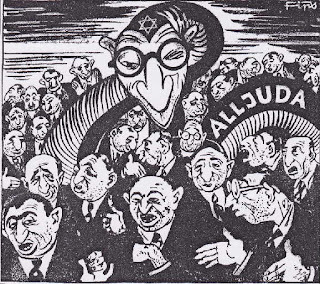 At first, I thought it was a cautionary example of how a Holocaust could be generated, perhaps an artist's vision of what Der Stürmer would produce if it were still publishing today. ...the large-nosed Jew, hunched over a wall, building with the blood of Palestinians as they writhe in pain within it. “Will cementing peace continue?” reads the caption beneath the image of a Quasimodo-like Netanyahu. As if this half-hearted attempt at a pun would help masquerade the overt racism within the image. The public atmosphere in England regarding Israel is ugly and violent…. A couple of impressions I took away from the experience: First, I can say without hesitation that I hope never to return to Britain. I actually don’t see any point. 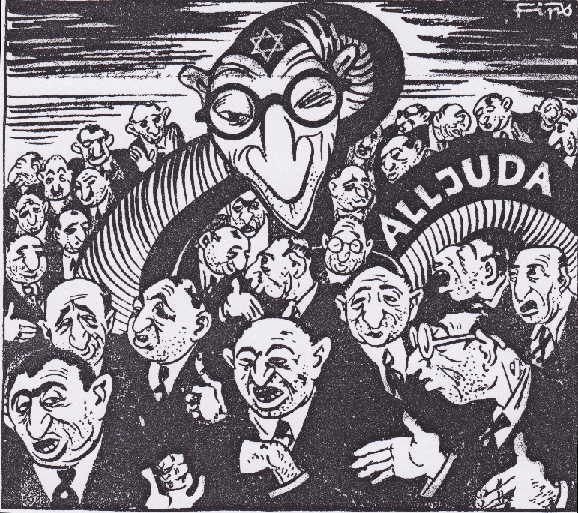 Jews are targeted by massive anti-Semitism of both the social and physical varieties. Why would anyone Jewish want to live there? As to visiting as an Israeli, again, I just don’t see the point... there is no future for Jews in England.
" Study shows growth in European anti-Semitism "
...the report found no significant rise in anti-Semitic attacks in the Arab or Muslim world. The study singles out the attack on a Jewish school in Toulouse, France, which left a rabbi and three children dead, and reports that the largest increase in anti-Semitic incidents over 2012 was in Europe. It also points to parliamentary victories by a number of far right anti-Semitic parties in Europe, including the Golden dawn party in Greece and the Jobbik party in Hungary, as a worrying trend. According to Diaspora and Public Information Minister Yuli Edelstein, who will present the report, the anti-Semitic incidents, which took the form of everything from Internet propaganda to physical attacks, had no relationship to Israeli policies. I thought that being against Israeli policies was used as an excuse for being against Jews. Looks as if most of Europe isn't even bothering to try to cover up their ancestral hatreds with a fig leaf anymore.